From the heart of the Westcountry, Banyan craft sterling silver jewellery inspired by the gestures and delicate ruminations of nature. Their experts use an array of mesmeric stones to augment silver's natural elegance before considering how each piece should be worn. 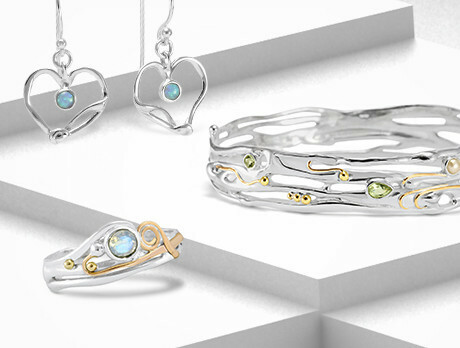 In Moonstones, pearls, emeralds and rubies, enchant your ensembles for the year ahead.